Continuing my love for Pokemon, I was determined to cosplay my favorite. 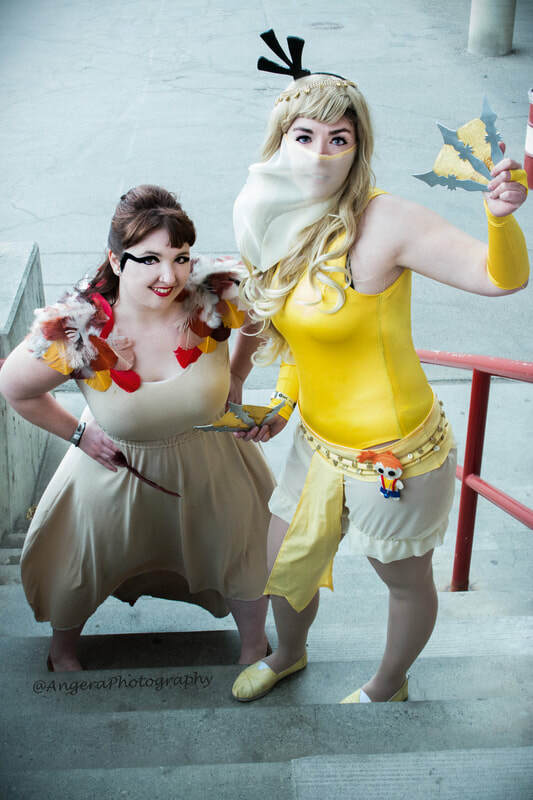 I teamed up with Danyella as my Pidgeot. This costume was completed for CCEE 2016. This was a hard one to design since I wasn't sure how to humanize his bill. After tons of research and design ideas I fell on the belly dancer/ninja theme and was able to create a face covering in the style of a bill, and even dual Tessen fans resembling webbed feet! I also felt it needed a voodoo doll - hence my little Misty! I wish I had bought more material for floofier bloomers. But I'm still extremely happy with the turn out!